Quantal Aluminium Conservatories is a flexible and stunning aluminium extension for your home. Find your local install or start your free online quote. Quantal aluminium conservatories system offers an engineered solution providing bespoke roofs for high-value orangeries, internal pelmets, atriums, conservatories and home extensions. Quantal conservatory roofs are uniquely versatile and adaptable, making them perfect for both the domestic and commercial markets. A Quantal conservatory roof is a prestigious addition to a living or working space and, due to its advanced engineering and thermal performance, can be put into use all year round. We have extensive experience of working with installers, fabricators, architects and designers across the UK; so, whatever your enquiry we will have a solution. Not only are our conservatory roof and orangery roof kits highly versatile and resilient enough to last for decades, but they are also incredibly simple to install. Thanks to our patented system, with fittings developed by our team of designers, installing your new Quantal aluminium conservatory roof will be a straightforward task. This is the result of more than 20 years of development, so everything we do has been thoroughly tried and tested. Not only this, but our system is unmatched regarding structural versatility and longevity, offering technical advances that reach far beyond the scope of our competitors and making us market-leading specialist. Quantal aluminium and orangery cassette conservatory roof systems both combine high-end aesthetic appeal and ultimate durability. In other words, good looks that will last season after season, whatever the weather has in store. They will increase the living space of your home and its value – both aesthetically and materially. Our range has expanded over the years to encompass every piece of detailing, feature and colour – so your conservatory will be full of individual character. And, thanks to our extensive research and years of experience, we have developed a conservatory roof system that can be adapted to fit any structure: large or small, vintage or new. We know that, as well as superb styling, aesthetics and detail, the main priorities when it comes to conservatory roofing will be the structure’s waterproofing and durability. Thanks to our patented innovations, your Quantal conservatory roof will offer supreme aesthetics and a tough construction that will last a very long time. From the most traditional design to a striking, contemporary look, our custom-made conservatories offer a unique and beautifully engineered solution for all your needs. Our adaptable systems give you every choice of look, colour, detailing and finish – so you can be sure your conservatory roof matches your home, garden and lifestyle. Our Quantal Aluminium conservatory roof system has the versatility needed to respond to the needs of your home improvement project. Whether you’re planning on adding a conservatory, extension, orangery or atrium, you’ll be able to find everything you need when you choose a Quantal conservatory roof. An example of the Quantal aluminium conservatory roof’s flexibility is demonstrated when its applied to an orangery design. In this case, the rooflight atrium permits the creation of a taller ceiling that can be fitted to a flat roof. The roof height can be adjusted to a height of 118mm if guttering or heritage internal cladding is needed. If you love the traditional look of an orangery, you’ll be attracted to the internal pelmet system that works in perfect tandem with the Quantal aluminium conservatory roof to deliver absolute comfort. Aesthetically, the combination of these two practical and stunning features will ensure your new room looks fantastic on the outside and inside. The Quantal aluminium conservatory roof lets in plenty of light from above, while the internal pelmet helps to create a roomlike feel. Adopting the same design approach used in our conservatories and orangeries, the pelmet allows for the installation of lights and speakers – instantly creating a space designed with light and comfort in mind. You want your Quantal aluminium conservatory roof to blend in with the themes and schemes used in your property. It doesn’t matter whether you live in a new build or heritage home, this system will respond to your design needs in full. We pride ourselves on offering our customers a bespoke solution to suit them. Combine earthy colours selected from our heritage palette and complete the classic look by adding elegant crestings and finials. Achieve a more contemporary look by using brighter colours instead and use a low-profile ridge on your roof, or opt for a more subtle appearance with some traditional tones. The choice is yours. The thermal efficiency of a conservatory will vary depending on the combination of glazing, doors and windows used in the design. The Quantal conservatory is no exception. As a guide, when used with Ultraframe’s Livinroom system, a score of 0.6 is achievable. This exceeds guidelines laid down by the Passivhaus Institute. 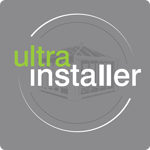 Your new Quantal aluminium conservatory roof will be covered by a robust manufacturer’s guarantee from Ultraframe. Please speak to your chosen UltraInstaller to check the level of cover for your new product before instructing work to go ahead.